How to install the driver manually on MAC OS? 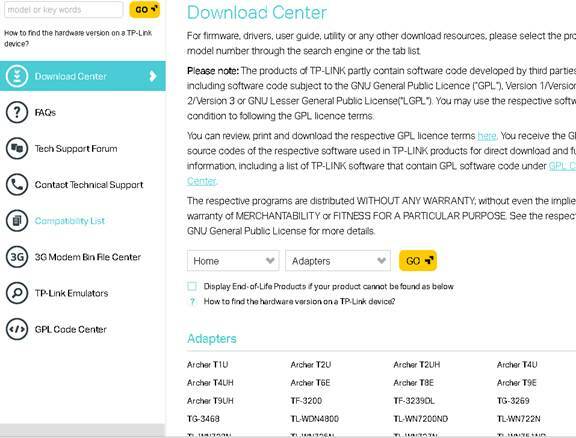 Before the installation, please go to Download Center to download the driver on the MAC, and plug the adapter into the computer. 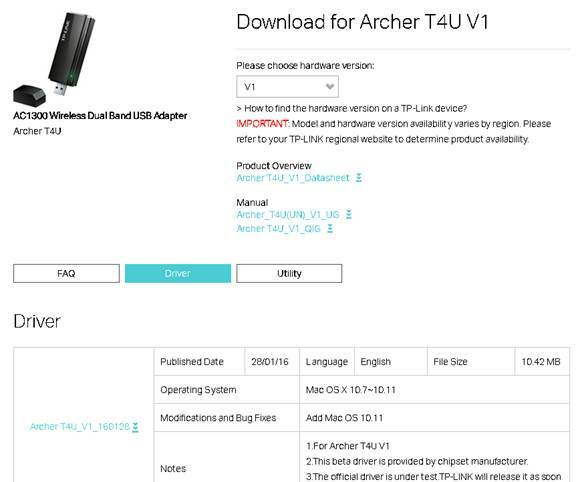 Let’s take Archer T4U for example. 2.A warning message will pop up as the below. To solve this problem, please go to “System Preferences”, and “Security & Privacy”, then click “Open Anyway” to identify the driver. Note: if “Allow apps downloaded from” is “Anywhere”, the warning message won’t pop up. 3.After the driver is being identified, it will be installed automatically. During the process, an authentication windows will pop up to ask for username and password, which is the administration account of your MAC (if you have no idea what it is or how to find it, please contact the Apple support for help.). Then please click “Install Software” to continue the process. 4.Now please click “Continue Installation” and “Restart” to finish the installation process. Now please enjoy your Wi-Fi.